all spaces will be removed and color name will be converted to lower case chars. NOTE: web colors are allowed both in hexadecimal RGB ("#RRGGBB") or hexadecimal aRGB ("#aaRRGGBB") format. NOTE: You can use number instead of color name or web-color. For example FF00FF00 is a full-opacity Green color (FF 00 FF 00). When you have a hexadecimal number you need to convert it to decimal number to use it in SMath Studio. There are snippets to make easy this conversion (see References). NOTE: Any text (empty or not) or message from the error function will be ignored. NOTE: infinite values will be ignored. It is possible to plot a single column vector using as index the x variable. It is possible to use units of measurement inside plots. Because the output units of calculations are base units (f.e. meters for any length unit), you have to scale the input or adjust the viewport. A dedicated plot palette allow some operations on the graph. 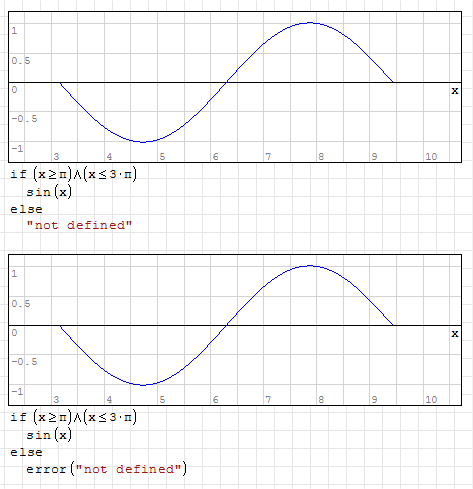 Rotate: rotate 3D graphs (see Known issues). if you use the mouse wheel holding the 'shift' keyboard key (↑) it zooms the horizontal axis. This does not affect the appearance of special plots. Move: drag the graph up or down, left or right; by default you can move the graph also by clicking and holding the left mouse button on the graph. 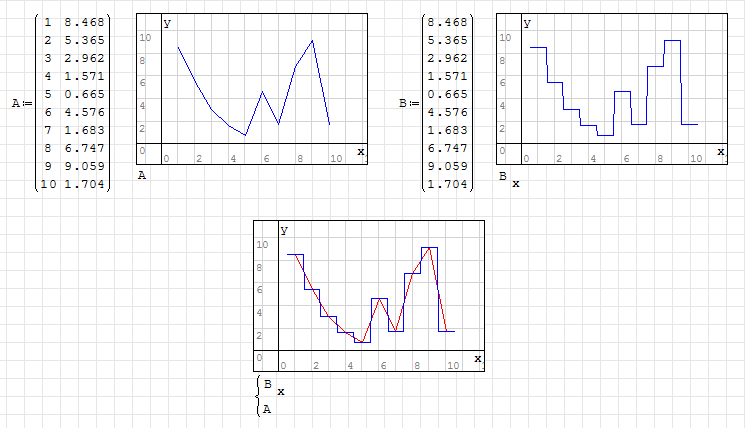 Graph by points: show functions/straight lines as a set of points; could be useful to highlight discontinuities. 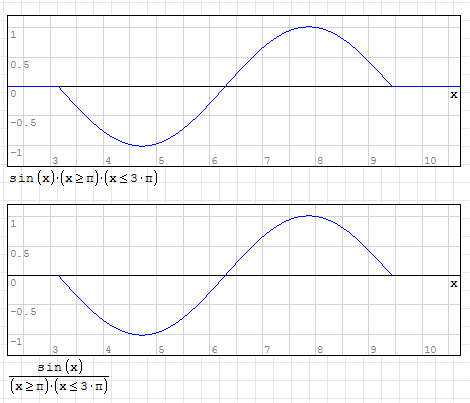 Graph by lines: show functions/straight lines as lines (default). 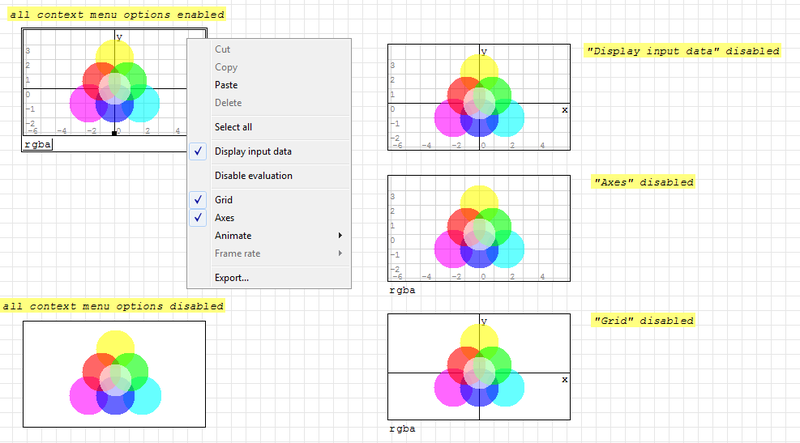 Refresh: restore the default view of the graph (axes origin moved to the graph center and zoom with default limits). 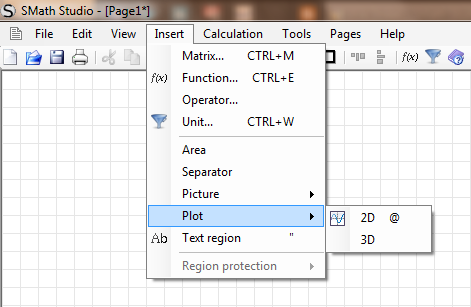 Clicking with the right mouse button on the graph appears a context menu that contains other options.